Thank you Dove for sponsoring this post. 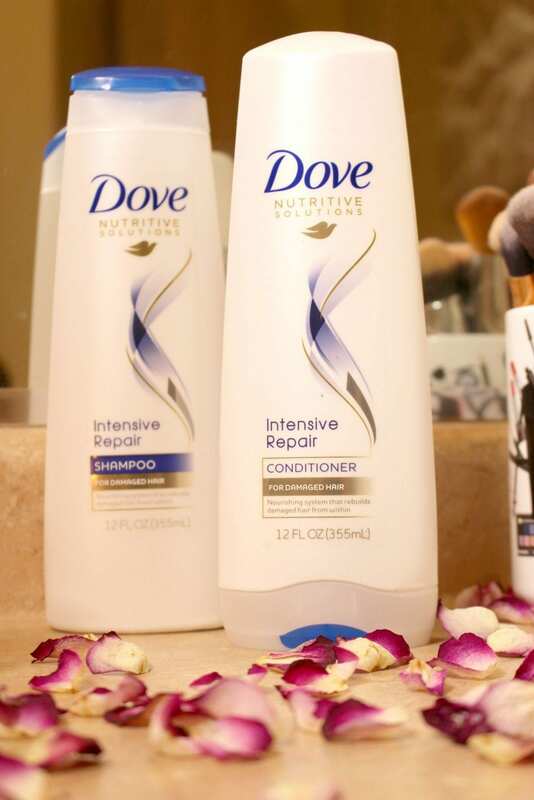 Dove Intensive Repair Shampoo and Conditioner works to repair hair and stop 90% of damage before it happens! Over the past few weeks, I've developed a routine that involves me working out every evening after work. I like to do an Orange Theory workout, and then get home to take a shower right away. The sooner I get in the shower, the less acne and skin irritation I have, so I like to jump right in once I get home. If you know anything about me, you know I love good smelling things. The most important part of my routine is having to wash my hair to ensure it is not greasy the next day, but I also want to repair it due to the fact that it's been damaged. Did I mention it smells amazing!? I'm not sure what it is but I lose a lot of hair every single time I wash my hair. It seems to come out faster than it can grow back, and my mom used to joke and say she was shocked I had hair on my head. I've also gotten various hair treatments over the years, which has definitely taken its toll on my poor locks. 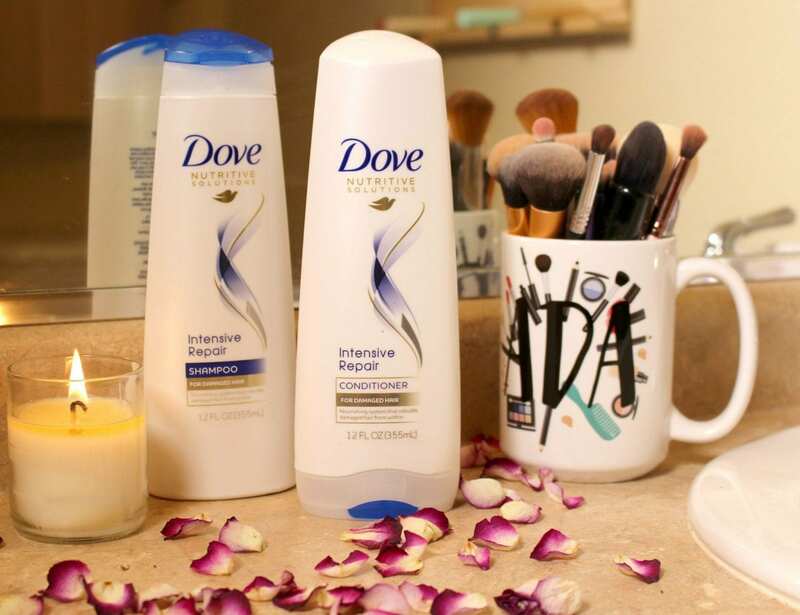 In case you haven't been around my blog before, you may not know that I am the biggest Dove fanatic.I have always loved Dove products, including their dry shampoo, dry spray deodorant, stick deodorant, shampoo, and conditioner. My mom also used to buy their soaps, which eventually evolved into me raving and always using their body washes. All in all, I am a Dove fan and fanatic through and through so I couldn't have been more excited to test out this new intensive repair dynamic duo. The shampoo and conditioner smell absolutely incredible. Utilizing their research from the past 60 years, Dove created this new hair care line with a nutrient blend that can stop 90% of hair damage before it happens. If that isn't incredible, I don't know what is. This Dove Intensive Repair Shampoo & Conditioner both have Keratin Repair Actives which helps with the keratin in the hair to repair the damaged protein structures. This formulation helps to protect against future damage and certainly helps to prevent split ends. One of the best things I've noticed about this duo is the fact that the products do not weigh my hair down and make it feel more greasy. This duo definitely helps to smooth the hair down quite a bit, and I notice that humidity doesn't affect my hair the same way. A 12 oz. bottle retails for $3.99 and a 20.4 fl. oz. retails for $5.99. 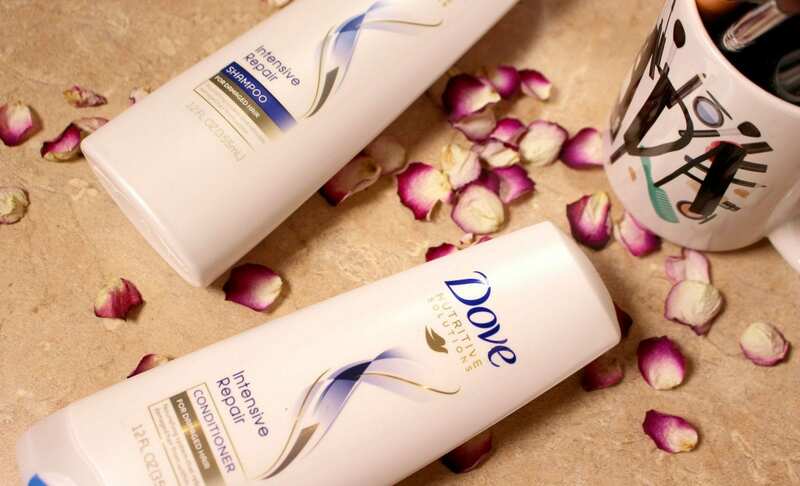 Over the years, I have always been rejoiced to use new Dove products and test out the latest they're putting out. This is a winning dynamic duo. Have you tried this shampoo & conditioner?